Year 6 Blog | If you've never made a mistake you've never tried anything new. If you've never made a mistake you've never tried anything new. Our teachers are commenters on the 2019 Student Blog Challenge. year6wilderness on Do you want to embed your own video into your blog? Lauren on Do you want to embed your own video into your blog? trishaw619 on A short video about sharing private and personal information. 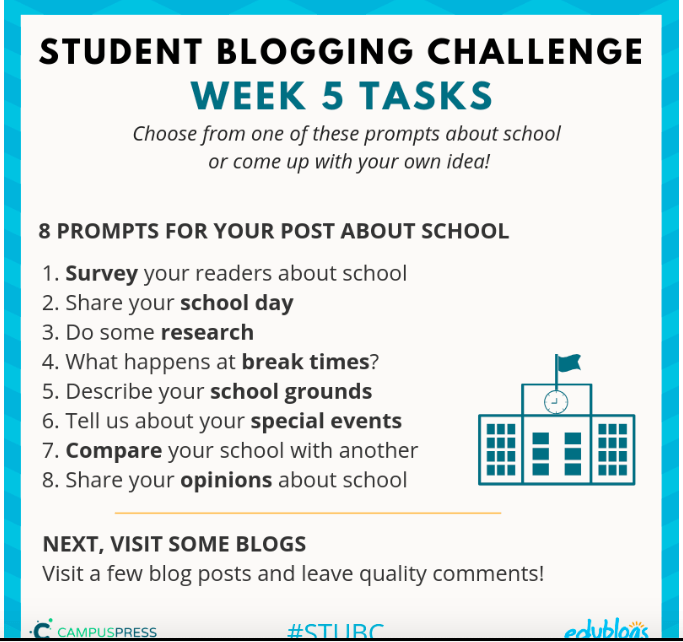 Click here to access STUBC Week 5.
please click here to access the Iceberg of Culture Task Website for your HASS assignment. Do you want to embed your own video into your blog? 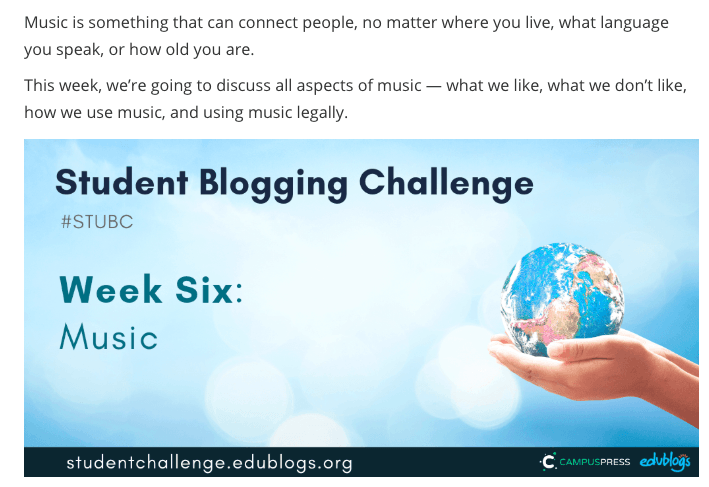 Here are the instructions to embed your own video into your blog, kindly provided by Kathleen at Edublogs. This week’s challenge is about using photos. Click here to access Week 3 Challenge. Make sure you read the menu on the right hand side of the link above to access shortcuts to where you want to go. Have a look at step 4 to see how you can use a ‘plug in’ to make attribution easy. Have a look at step 1- Lauren has already been acknowledged for making her own images. We already know we can get great images from un-splash and embed code to add a button which also makes attribution easy. Click here to go directly to STUBC Week 2. If you wish to go directly to the STUBC, Week 1 – click here. Otherwise you can follow the challenge here. You can see this week’s challenge is about Getting to know each other. You will have the options of either making an Avatar, or an About Me post. You can also do both. 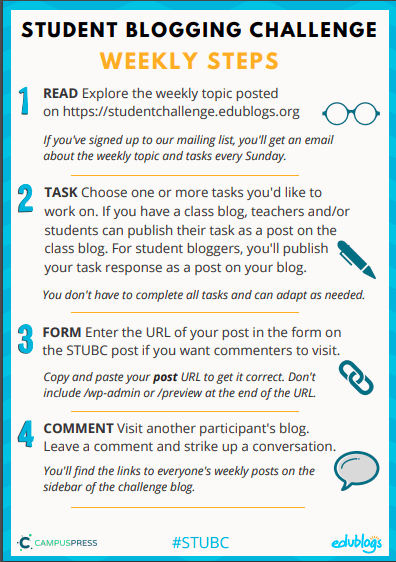 You will also be invited to visit some other blogs of students in the STUBC.Watch the video below to help you understand the 4 steps to take part in the STUBC each week. Remember to think carefully about what you share online. Task 1. Write a post about yourself. Write a poem. It could be a traditional rhyming poem or any other style of poetry. Here is an example from Daniela. 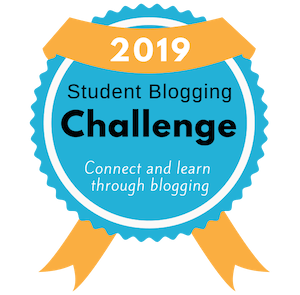 Here is a page for student bloggers. These are sorted by age. Student bloggers have hobbies listed so you hopefully can find someone who is not only a similar age to you but shares some of your interests. Finding the URL to a blog post which you have created on your blog. Copying and pasting your blog post URL into a comment for a different post. Create a new post in your blog. In your post explain what a URL is and what does this actually mean? What is the difference between a post and a comment? What is your blog URL? Copy and paste it into your post. What is the URL to this you have just created? How will you find it? Now respond to this post with a comment, and include the URL of the post you have just created. A short video about sharing private and personal information. 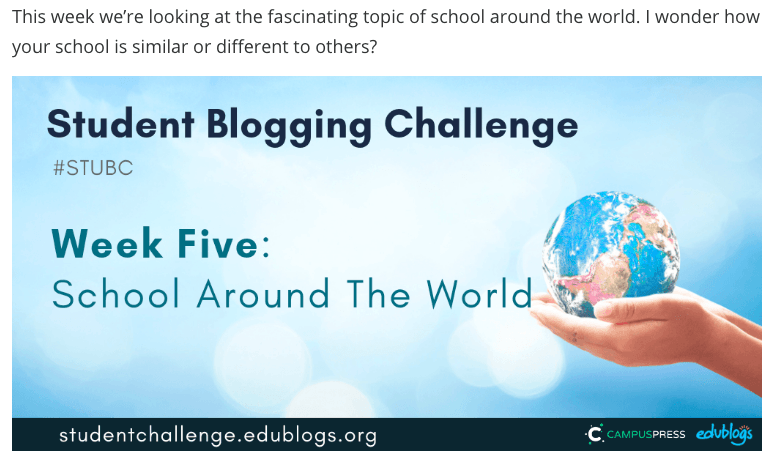 Before you begin the Student Blog Challenge next week, watch the video above and respond to this post, with a comment. In your comment, write a statement about what you consider to be the most important message in this video.